What is going on with the Earth? 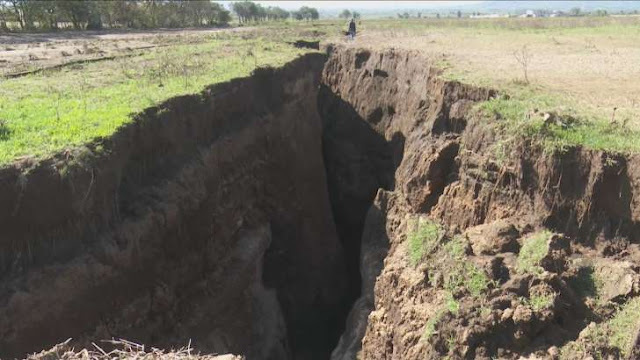 In Nairobe, Kenya, an Earth splits open with 50 feet deep and 60 feet wide overnight. 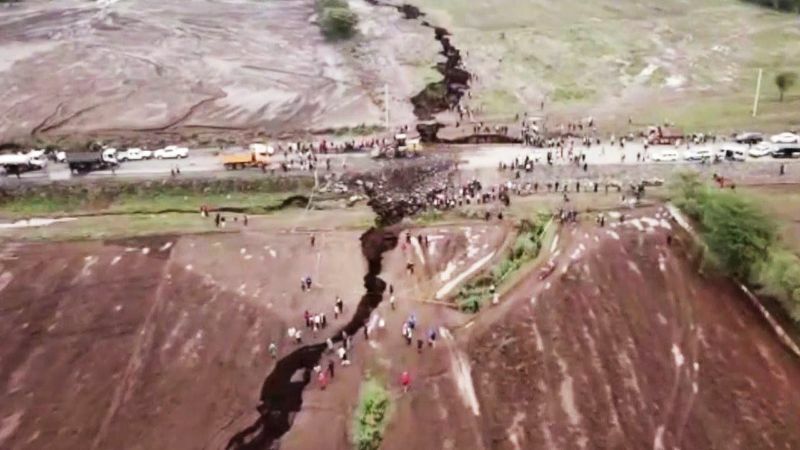 The division that leaves the locals terrified in this natural phenomena when the slices stretches across miles opening the highway in the west field of Nairobe. So what happen then when everyone sleeps? Ben Andrews, a geologist believed that the African continent will separate into two in 50 million years due to the movement of tectonic plates, "We're seeing a crack that in all likelihood formed over many thousands of years or hundreds of thousands of years." Wendy Bohon, geologist agreed that Africa will slowly splitting in two, but she thinks that the gash was created in a flash, "I think it's an Earth fissure, the same sort of thing that you see in Arizona after heavy rain storms. They're the result of heavier torrential rains that come and wash away large portions of the dirt in the ground. To me it looks pretty cut and dry. It wasn't a result of the tectonics, it was the result of the weather."